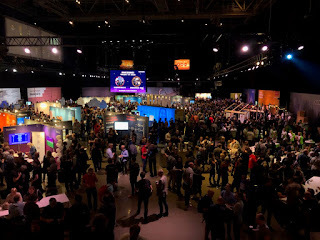 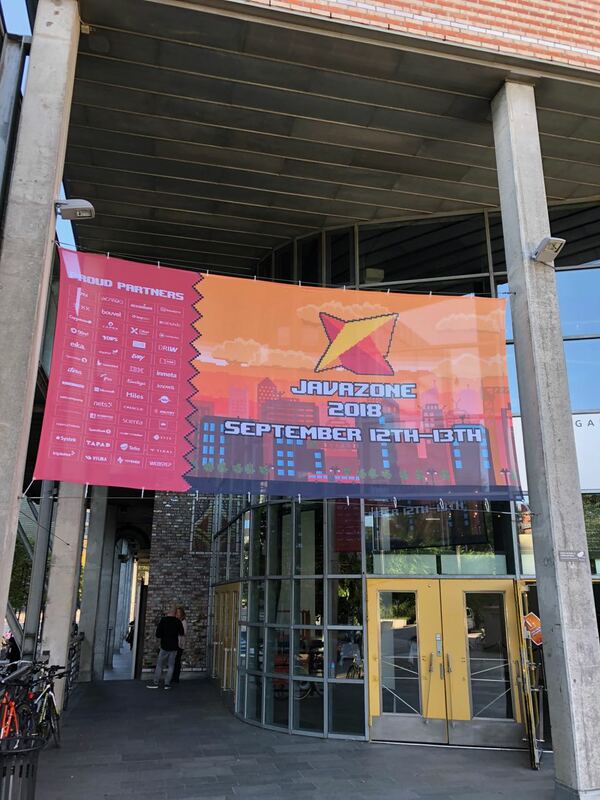 Want to here about one speaker and attendee's experience at this year's JavaZone conference? 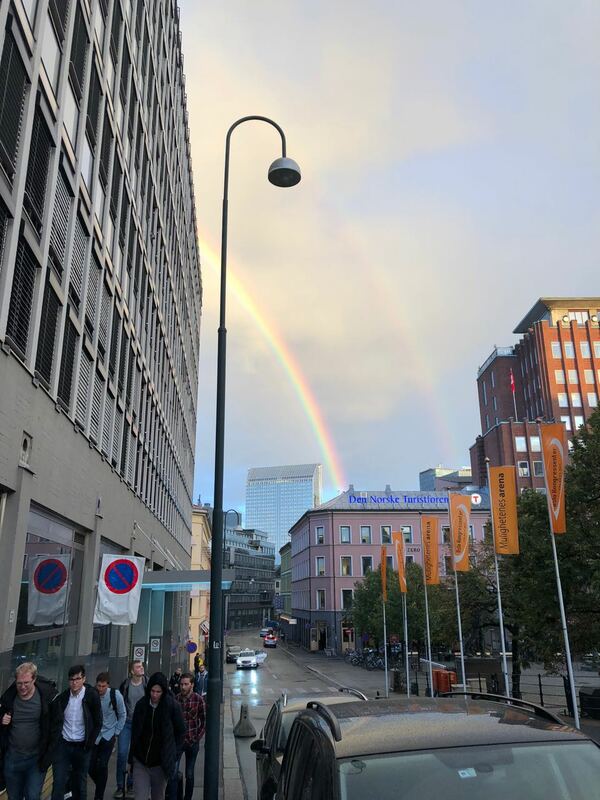 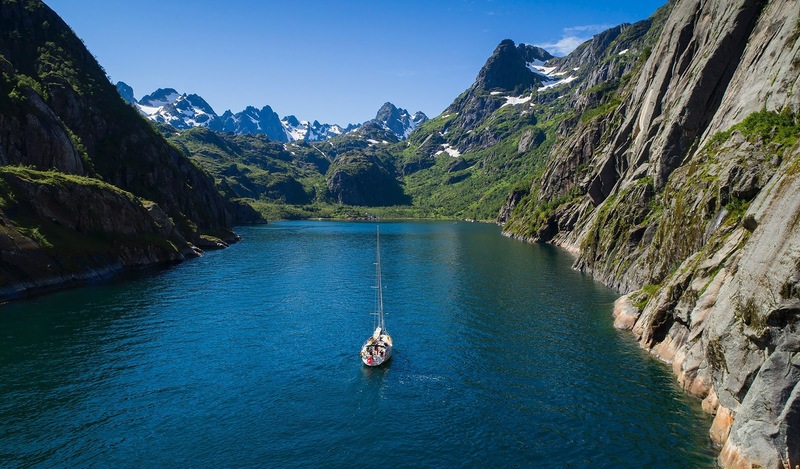 Check out this post to here more about this year's conference in Oslo! 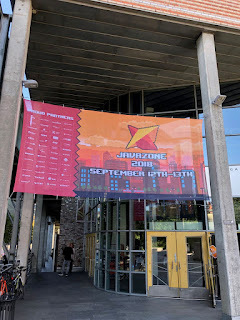 This week, I am attending and speaking at the JavaZone 2018 conference in Oslo. 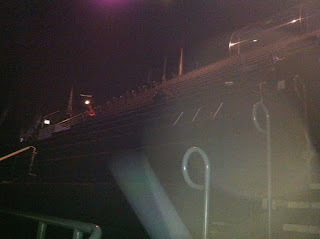 I was last here about seven years ago, so it was good to be back. The weather is very nice with rainbows and unicorns and everything — well, just the rainbows. 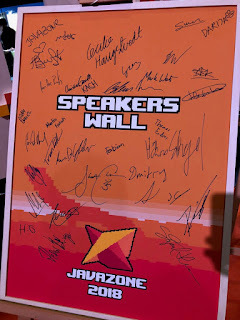 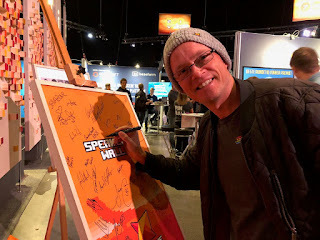 As a speaker, I was asked to sign the speakers' wall and was given a woolen hat as a gift, which will be handy this weekend where I am joining other speakers for a boat trip called JourneyZone in northern Norway at Lofoten. They say the landscape should be spectacular. 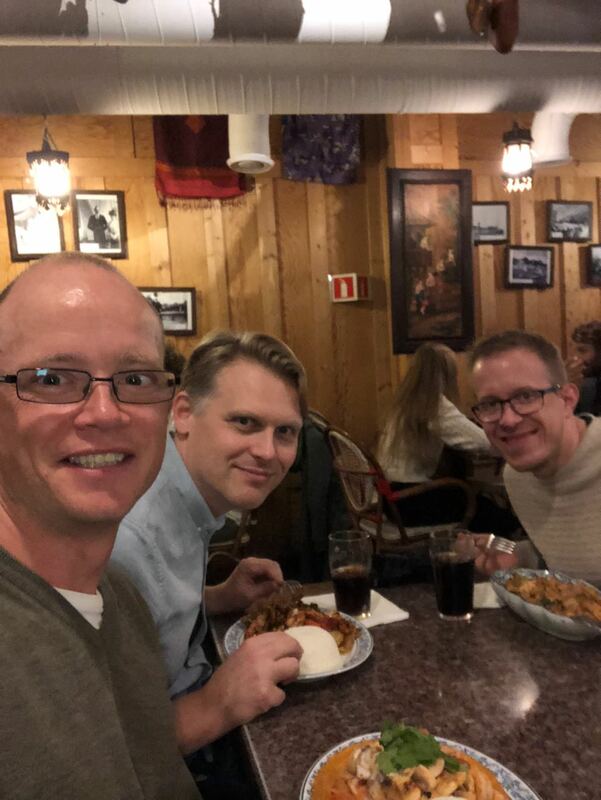 Yesterday evening, I was out dining with fellow Danish friends, Flemming and Anders, whom I know from our little IT-network group called getsmarterdaty. 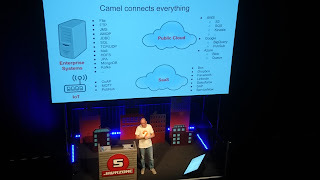 My talk (Camel microservices with Spring Boot and Kubernetes) was yesterday at 5 pm, and its always special to present here at the Spectrum arena in Oslo, as the rooms have very steep seatings so attendees are mostly looking down upon you. 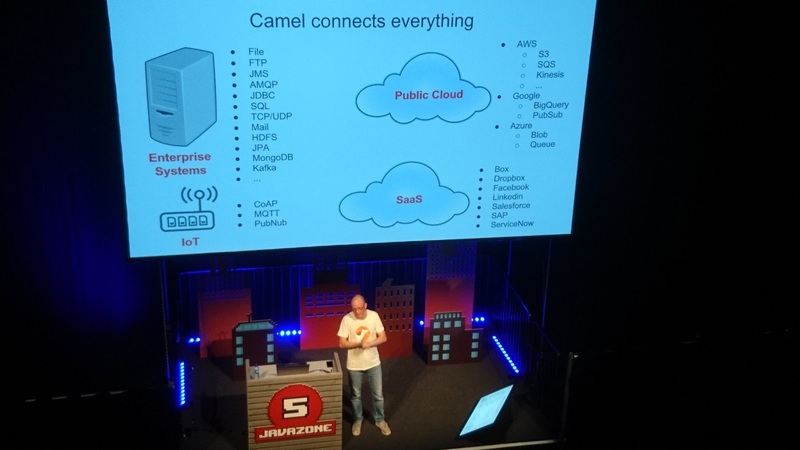 The talk is video recorded and will be posted online soon. 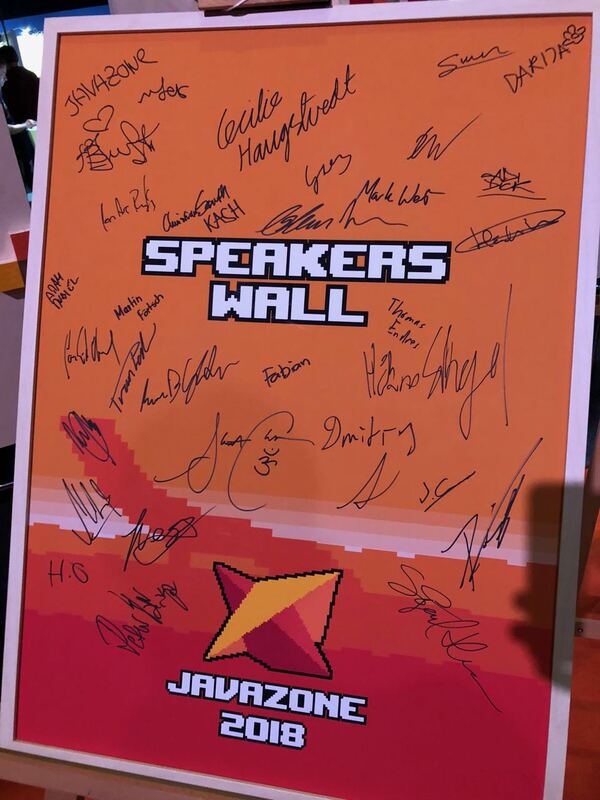 The slides and source-code is located on my GitHub account. The conference hosts about 3000 attendees and is a very well organized event, running for 17 years.